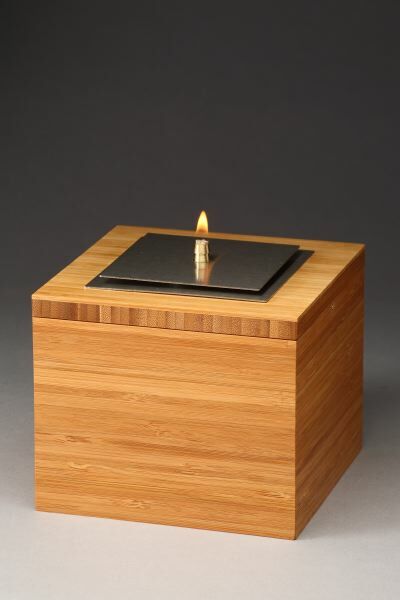 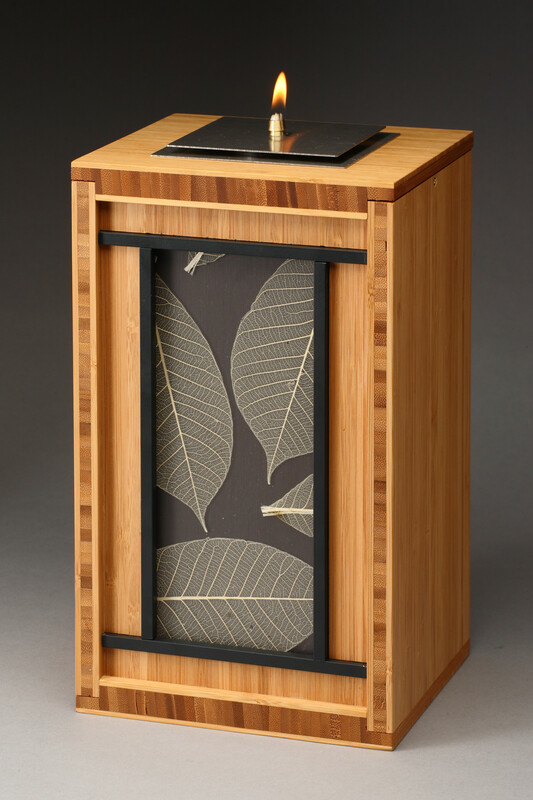 Hand crafted from sustainable Moso bamboo, our urns are crafted in our Bend, Oregon studio using environmentally friendly materials and practices. Each piece is accented with a Lumicor resin inlay as well as powder coated steel. 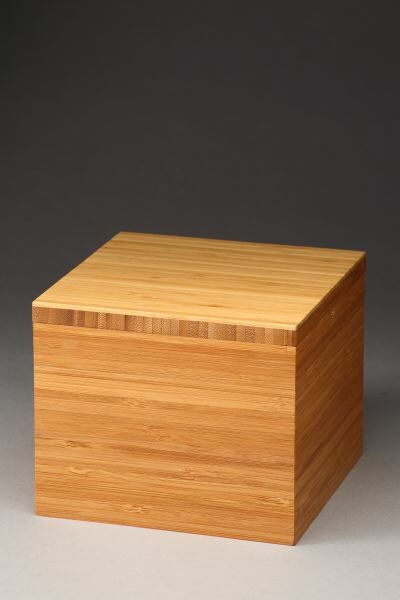 All of our materials are sourced locally in the Pacific Northwest. 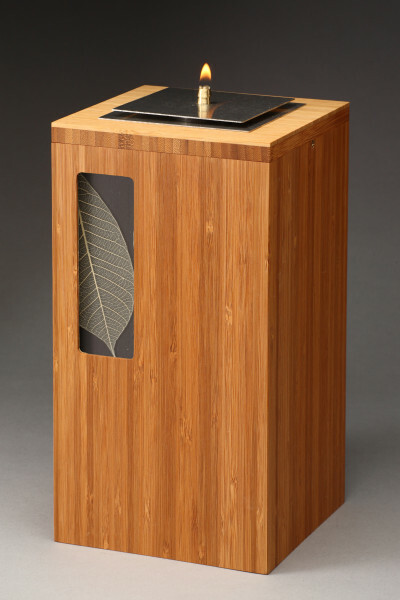 The Magpie comes with our unique oil lamp lid, allowing the user to light a flame in honor of the life of a loved one.